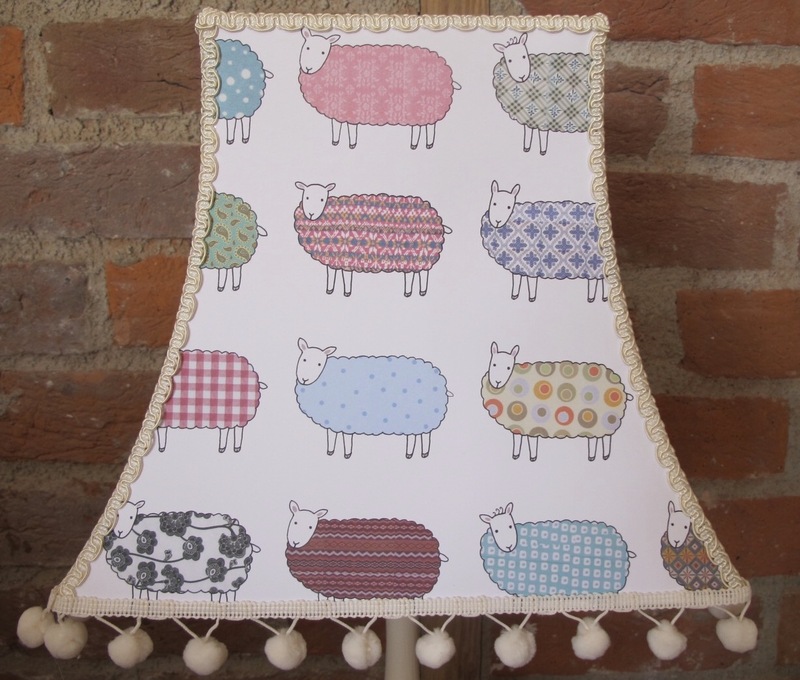 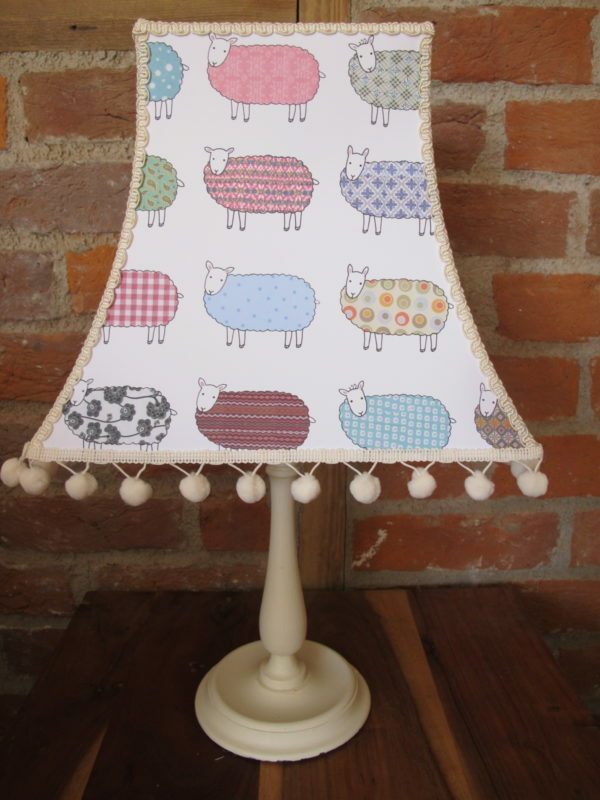 This gorgeous sheep design is printed on paper which is approved by the Forest Stewardship Council. An array of fabulous woolly sheep all with lovely colourful coats on a cream background. 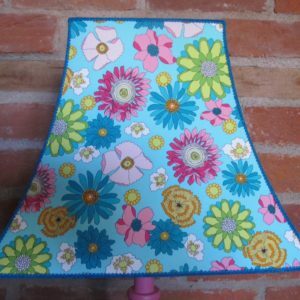 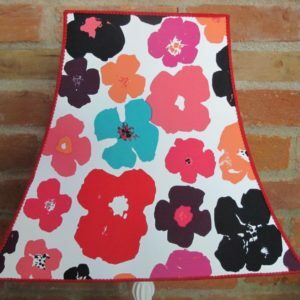 This is a handmade lampshade in a Bowed Oblong Frame. 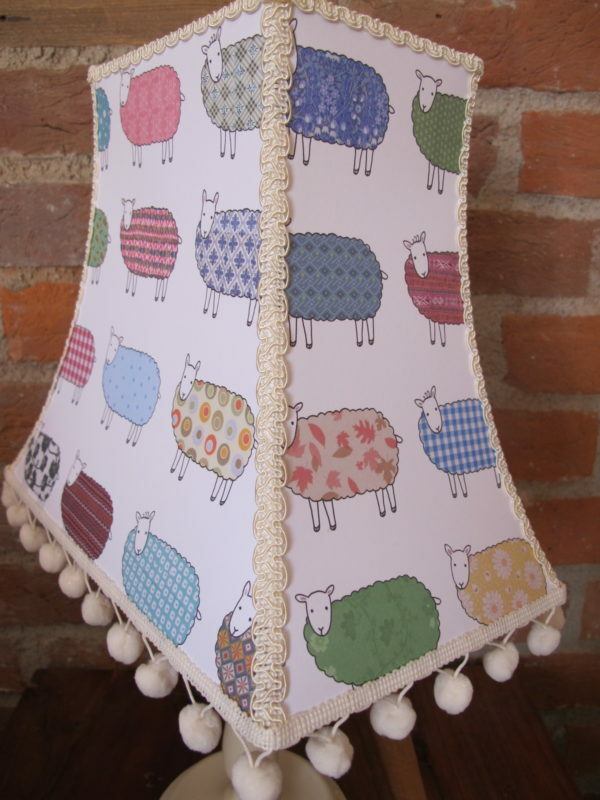 This gorgeous sheep design is printed on paper which is approved by the Forest Stewardship Council. 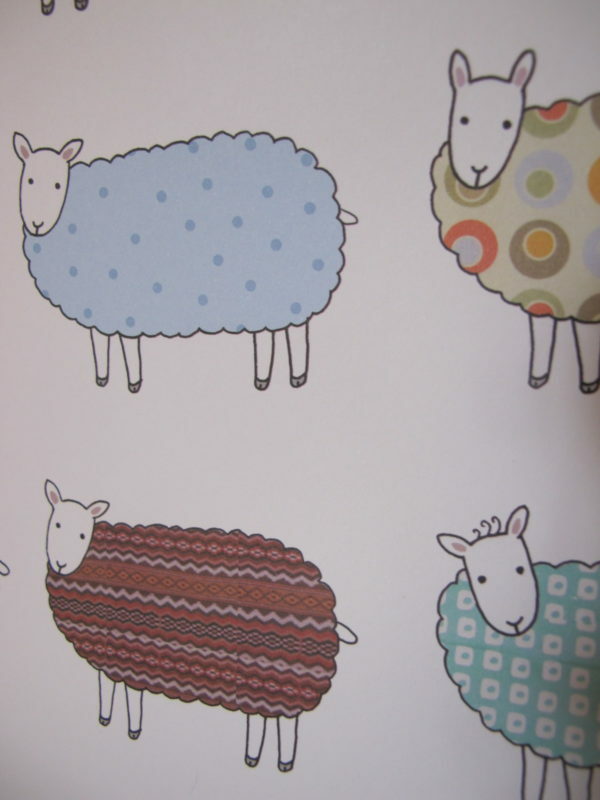 An array of fabulous woolly sheep all with lovely colourful coats! 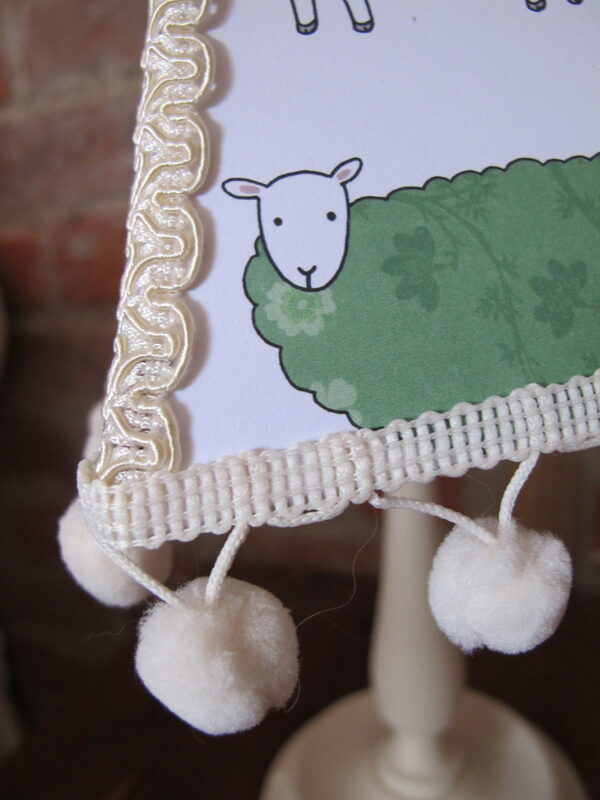 Edged with cream braid and trimmed with cream pom poms. 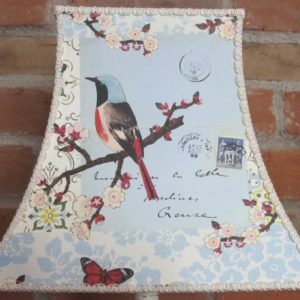 The design may alter slightly but don’t worry it will be as close to the design as possible.